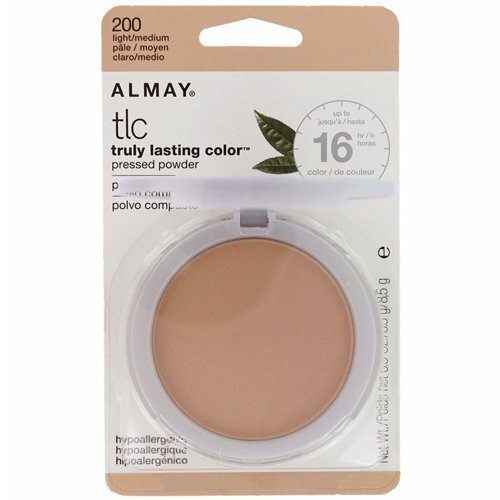 Almay Smart Shade Loose Finishing Powder, Light finishes your makeup look in a flawless, natural finish. The ultra-fine powder provides a natural finish. Skin looks healthy with a radiant glow. Suitable for sensitive skin. Application tips: (1) Use the puff in the jar, dust powder over your face. (2) Wear alone or on top of Almay Smart Sade Skintone Matching Makeup. Available in 3 shades. Dermatologist tested. Almay - Quality ingredients. Hypoallergenic. American science. Take the guesswork out of finding the right shade of face powder. Pressed powder instantly transforms into your perfect shade and helps keep oily areas shine-free and dry skin softly hydrated. Lightweight powder provides light coverage with a soft matte, flawless finish. Compact includes brush and mirror for convenient on-the-go application. 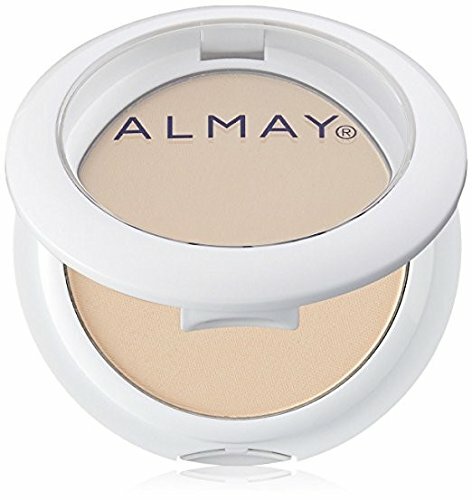 Almay Clear Complexion Pressed Powder, Light/Medium is the perfect complimentary powder to your makeup routine. Featuring Blemisheal Technology contains salicylic acid to help heal and conceal blemishes for a shine-free and even complexion. Formulated with mineral complex to absorb oil. Contains aloe and chamomile to soothe skin and help reduce redness. Pair with the Almay Clear Complexion Concealer and Foundation for the ultimate clear complexion. Available in 3 shades. Dermatologist tested. Almay - Quality ingredients. Hypoallergenic. American science. Radiant, younger-looking skin. Helps hide imperfections, won't settle into fine lines. Infused with refreshing cucumber. Light coordinates beautifully with foundation shades in ivory, buff or naked. Hypoallergenic. Won't clog pores. Made in U.S.A. with U.S. and Non-U.S. components. Radiant, younger-looking skin. Helps hide imperfections, won't settle into fine lines. Infused with refreshing cucumber. Medium coordinates beautifully with foundation shades in honey or tan. Hypoallergenic. Won't clog pores. Made in U.S.A. with U.S. and Non-U.S. components. 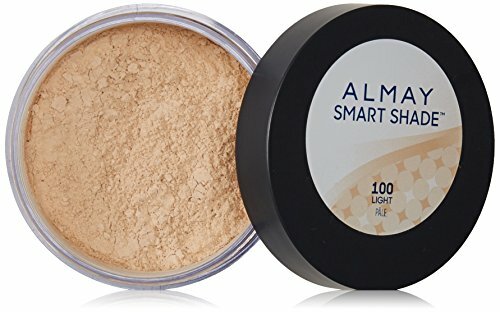 Almay Smart Shade Skintone Matching Pressed Powder, Light takes the guess work out of finding the right shade of face powder. 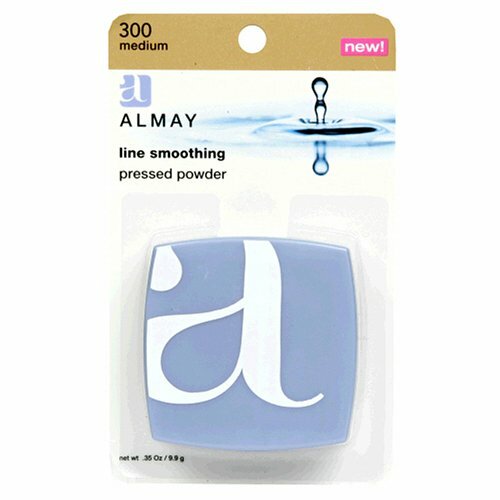 Almay Smart Shade Pressed Powder instantly transforms into your perfect shade and helps keep oily areas shine-free and dry skin softly hydrated. Skin balancing microspheres with oil absorbing and moisturizing properties. Shade sensing pigments deliver perfect transformation. This lightweight powder provides light coverage with a soft matte, flawless finish. Compact includes brush and mirror for convenient on-the-go application. Natural hair brush helps evenly blend powder for a smooth, natural look. Getting your perfect powder shade is as simple as a swirl. (1) Tap puff into powder. (2) Blend into skin for perfectly balanced coverage. For the complete look, use with Almay Smart Shade Skin Tone Matching Makeup. Oil-free. Fragrance-free. Free-of talc and added parabens. Suitable for sensible skin. Available in 3 shades. Dermatologist tested. Almay - Quality ingredients. Hypoallergenic. American science. 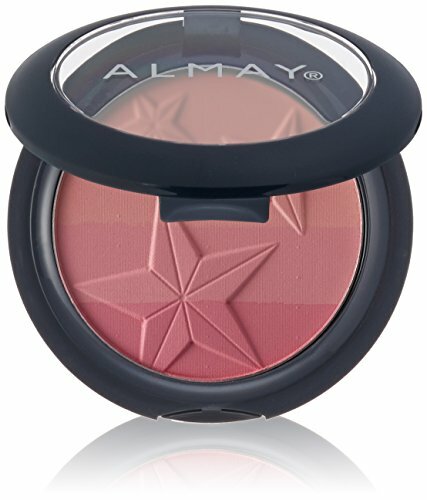 Almay Smart Shade Powder Blush, Pink brightens up your complexion! This lightweight, smooth formula glides on easily and evenly for a look of natural radiance. Three shades of bricked color swirl together to create the perfect blush shade for your skin. 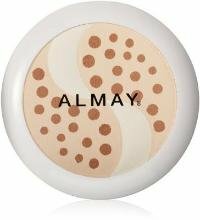 Wear alone or on top of your favorite Almay makeup foundation for that perfect flushed look. Application tips: (1) Swirl the brush across the top of the palette. (2) Sweep across the apples of your cheeks. (3) For an all-over glow, apply subtle strokes across the contours of your face. Available in 3 shades. Dermatologist tested. Almay - Quality ingredients. Hypoallergenic. American science. SPF 12. Helps nourish skin. Up to 16 hr longwear. Hypoallergenic. Helps to nourish and protect skin for up to 16 hours. Flawless finish that lasts all day - even in heat and humidity. Infused with natural ingredients including a complex of vitamins, antioxidant green tea and lemon extract. 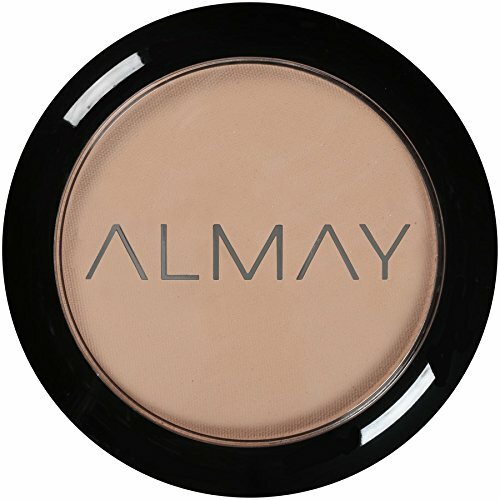 Light/Medium coordinates beautifully with Almay foundation shades in neutral, beige or sand. Won't clog pores. Dermatologist tested. Made in U.S.A. with U.S. and non-U.S. components. 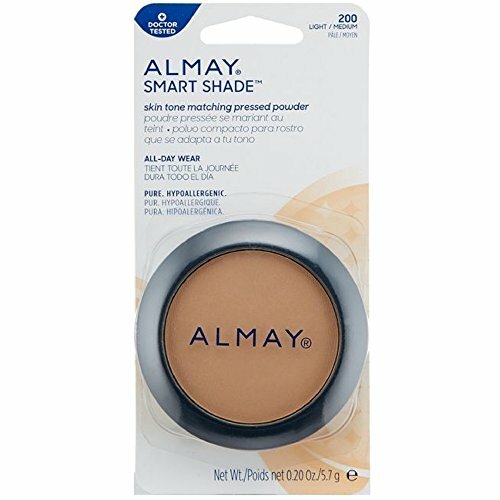 Almay Smart Shade Skintone Matching Pressed Powder, Light/Medium takes the guess work out of finding the right shade of face powder. 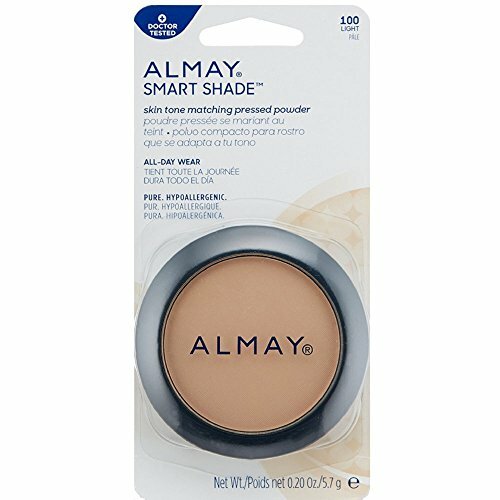 Almay Smart Shade Pressed Powder instantly transforms into your perfect shade and helps keep oily areas shine-free and dry skin softly hydrated. Skin balancing microspheres with oil absorbing and moisturizing properties. Shade sensing pigments deliver perfect transformation. This lightweight powder provides light coverage with a soft matte, flawless finish. Compact includes brush and mirror for convenient on-the-go application. Natural hair brush helps evenly blend powder for a smooth, natural look. Getting your perfect powder shade is as simple as a swirl. (1) Tap puff into powder. (2) Blend into skin for perfectly balanced coverage. For the complete look, use with Almay Smart Shade Skin Tone Matching Makeup. Oil-free. Fragrance-free. Free of talc and added parabens. Suitable for sensible skin. Available in 3 shades. Dermatologist tested. Almay - Quality ingredients. Hypoallergenic. American science. Compare prices on Almay Powder at ShoppinGent.com – use promo codes and coupons for best offers and deals. Start smart buying with ShoppinGent.com right now and choose your golden price on every purchase.